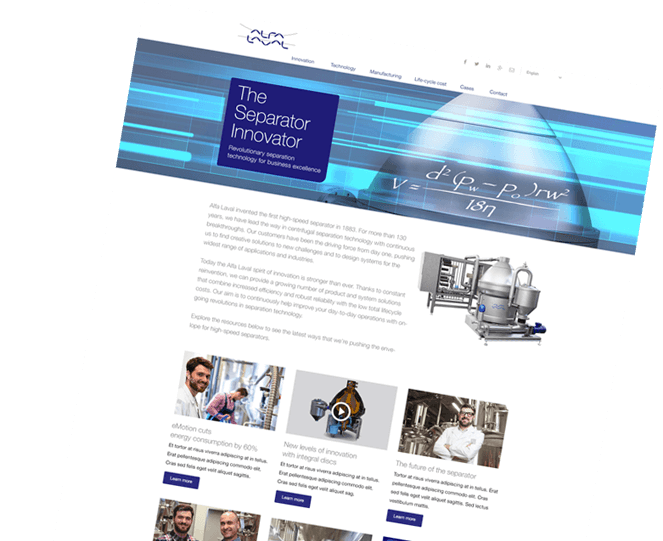 The Alfa Laval PX 810 Bactofuge centrifugal separator is ideal for removing microbial cells from high-density broths in industrial fermentation applications. Thanks to the continuous solids discharge of the Bactofuge Design, the separator can offer outstanding throughput – even at high cell loads. 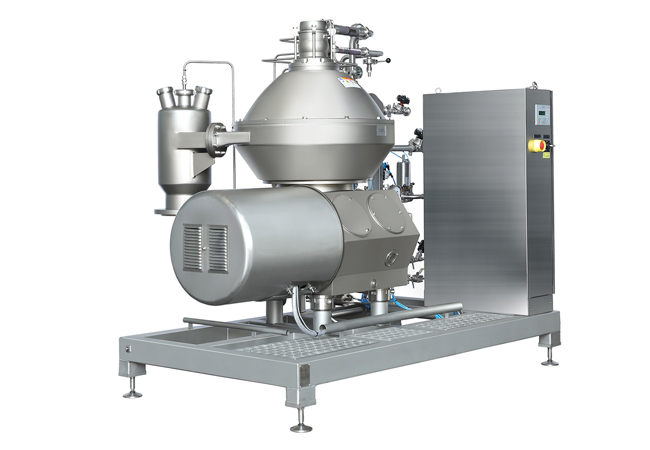 Featuring Alfa Laval’s unique Hermetic Design, PX 810 Bactofuge is able to secure very gentle acceleration of the broth, resulting in minimal cell lysis for more efficient separation. Our Hermetic Design also reduces energy consumption by up to 40% and ensures that there is no contact with air inside the separator. Efficient removal of microbial cells is critical for profitability in bio-based chemicals production. Thanks to its gentle cell handling and continuous discharge, a PX 810 Bactofuge offers very high separation capacity in one compact unit. 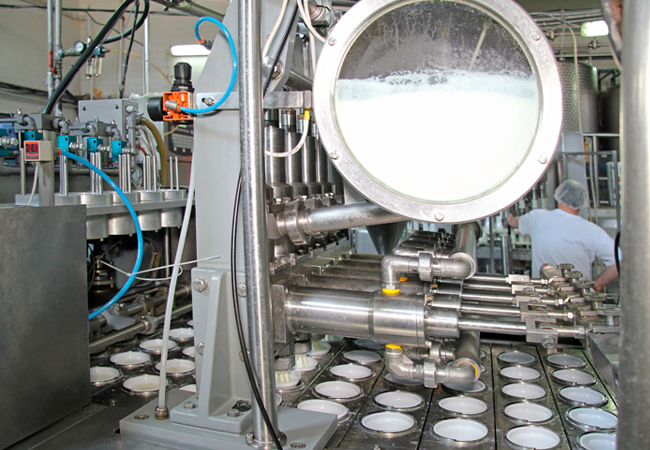 For producers of fermentation starters, the gentle product handling in a PX 810 Bactofuge results in higher yield and product viability – and in turn higher profitability. PX 810 Bactofuge’s Hermetic Design and excellent hygienic properties makes it ideal for production of probiotics and microbial food cultures. 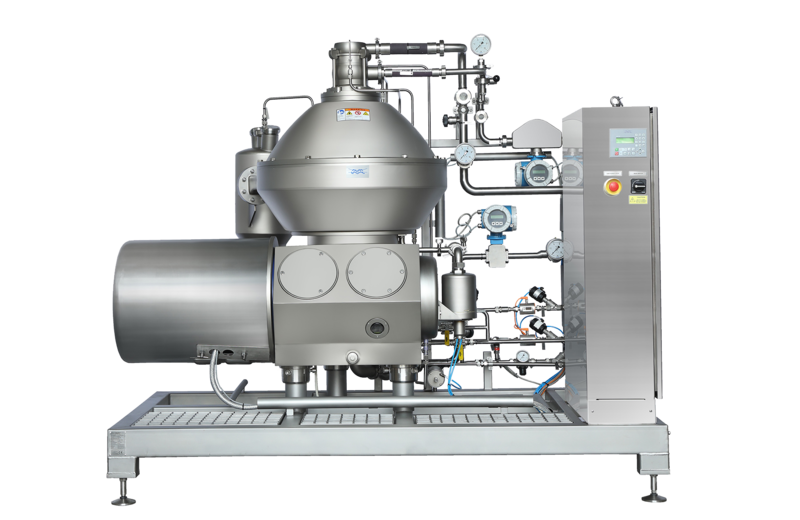 The continuous discharge allows the separator to handle large flows of high-density broths in a compact unit.